It is all too easy to imagine that, what weight GOES ON in London, STAYS in London. A theatre break is only a short break, you can get back to the diet afterwards. And besides, you are celebrating! But a big bowl of pasta at a cozy restaurant before the show might be all well and good if you are running the London Marathon the next morning, but apart from the fact that you are eating nice and early in the evening there is really nothing good about it for that New Year’s Resolution… especially if it is accompanied by a good bottle of Chianti and followed up with Tiramsu! So to help you out we have found some of the best healthy alternatives for your pre-theatre dinner or lunch – and if you are breaking out in hives at the mere thought of healthy eating – there are a few welcome surprises below. 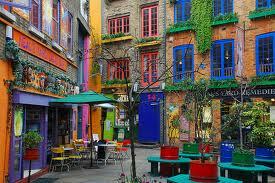 The first place to mention is The Wild Food Cafe in Neall’s Yard close to Covent Garden. This used to be the World Food Cafe which closed down in July 2011. Wild Food Café is all about preserving the enzymes, nutrients and flavours for an ultimate wellbeing experience by keeping food under 39 degrees. Their food is none the less delicious and is made fresh in an open plan kitchen – including, dips, sauces, dressings, desserts, juices, smoothies & chocolate! Just round the corner in Neal Street, Food For Thought continues the Vegetarian theme but this time with cooked food. It is also open later so great for pre-theatre dinner. They also allow BYO if giving up meat is bad enough with a drink but unthinkable without! When it comes to the bill the good news is that they don’t charge corkage but beware: they only accept cash! 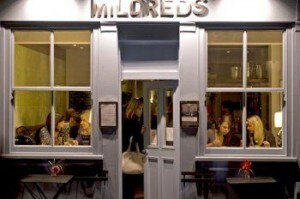 In Soho, Mildred’s (45 Lexington Street) and Tibits (12-14 Heddon Street) continue the meat-free theme. As well as a range of organic dishes and drinks, Mildred’s are also proud of their innovative options for vegetarians and vegans whilst tidbits is a successful, family-run Swiss independent dining concept serving vegetarian food that appeals to all. Europe’s first organic vegan Japanese restaurant is Itadaki Zen. For thousands of years the medicinal value of plants and food has been appreciated in Far Eastern tradition. Itadaki Zen brings that knowledge to the dinner table: determined to improve not only your day-to-day health but also the quality of your life: your consciousness as well as your body. If you have chosen the 3 star Thistle Barbican for its excellent leisure facilities as your base for your London Theatre Break make sure you check out Carnevale in Whitecross Street. It is a small, relaxed, chic, romantic restaurant specialising in imaginative vegetarian food They also boast an excellent selection of Organic drinks, from their organic house wines to the Serge Faust N.V., Carte d’Or Champagne via organic beers, sherry, gin and vodka! The Pho restaurants specialise in great value, deliciously healthy and authentically prepared Vietnamese food. There are two in theatreland – in Great Titchfield Street by Oxford Circus and in Wardour Street in the heart of Soho. Not as a pre-theatre venue as it is too far out but after all the vegetarian menus it is worth while mentioning Smiths of Smithfield Top Floor where Masterchef’s John Torode owns this stylish restaurant in the heart of Smithfield Market with rare breed, organic and additive free meats which will still give you that healthy glow by cutting out additives without actually giving anything up. If all this is going over your head, then you will be pleased to hear that beyond the oil floating on top of your favourite takeaway, Indian food can be a very healthy option. Mela at 152 Shaftesbury Avenue, close to Covent Garden keep their sublime dishes away from any excessive oil or fat. And for a snack to take away in the middle of the day you can’t go far wrong with Mooli’s on Frith Street (just close to Ronnie Scott’s) for wraps which are prepared with fresh ingredients and nothing artificial. You won’t find any mayo here. Chickpeas are a great low fat source of protein, dietary fibre and iron. The Hummus Bros chain, has locations in Soho, Holborn and St Paul’s. You get hummus as a base then add what you want – salad, mushrooms, beef, chicken etc. Warm pitta bread finishes the dish off. Check out the fresh mint and ginger lemonade! Tossed is a salad bar chain with two locations in the West End: great for a light lunch. Now they have chased away the pigeons, head down to Trafalgar Square from the Tossed in St Martin’s Lane to eat your tailor-made wrap. UPDATE: check out Vegan-Friendly restaurants in Theatreland. So that was a random list of how to eat healthily on a London Theatre Break. Of course I haven’t mentioned sticking to a continental breakfast at your hotel, but if you are planning to enjoy an active weekend it’s probably a good idea to make sure you don’t run out energy! And NO, you can’t buy Maltesers for the show!